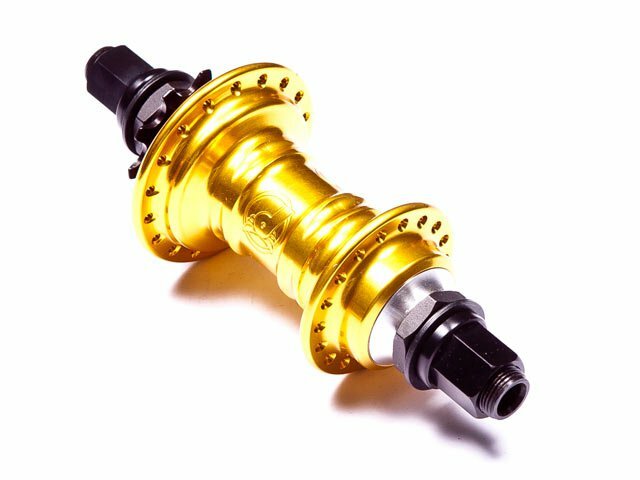 Here you can buy propably the best hub on market right now. 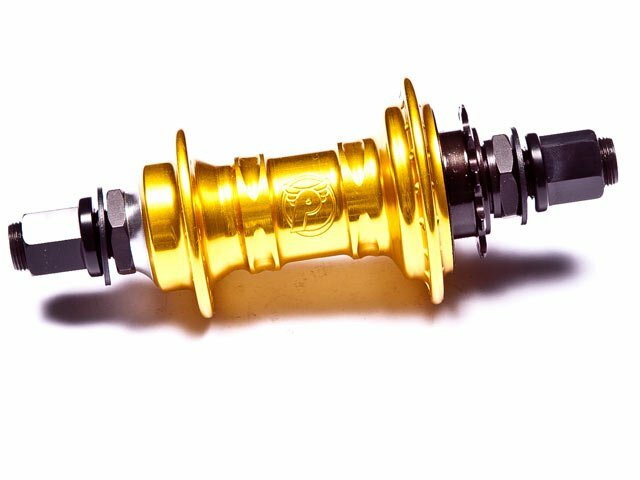 The Profile "Mini" Cassette Hub - gold is extremely stable and light. 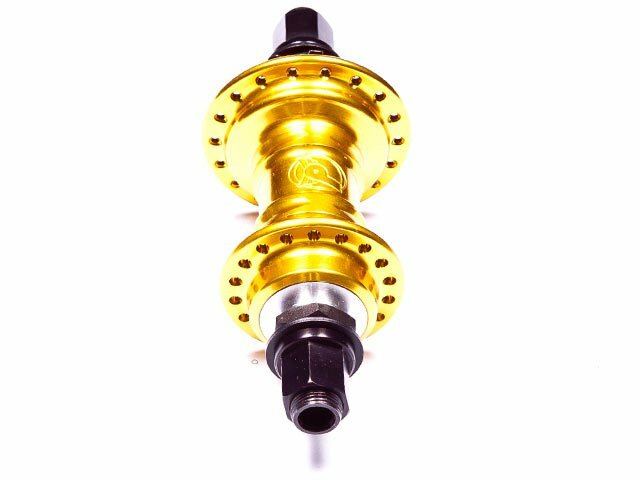 With this hub you will definitely have a lot of fun in your home skatepark. 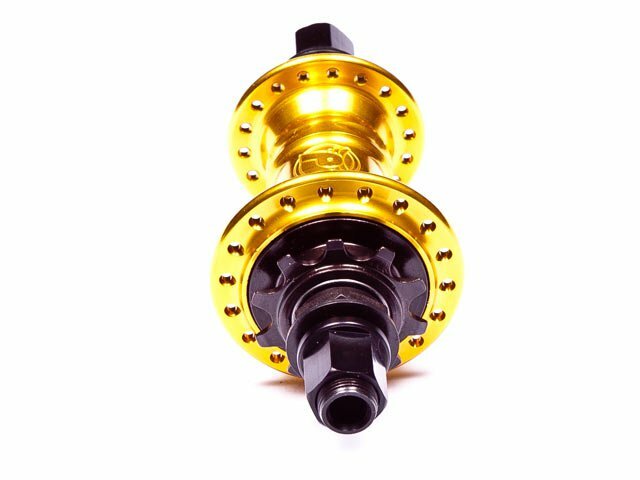 The Profile "Mini" Cassette Hub - gold comes with a CrMo Driver and in male or female style. 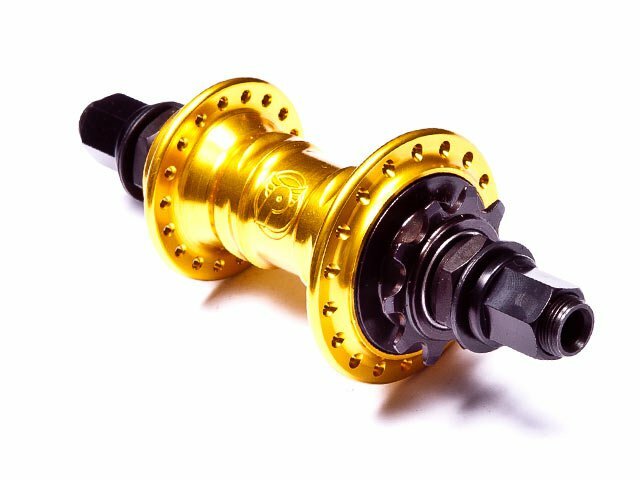 Shown style: Male cassette hub with 14mm hollow axles, 14mm nuts and CrMo-Driver.